London, 9th March 2017 - Companies across UK have expressed their opposition to an attempt to ratify the Unitary Patent treaty which is neither desirable for British software companies nor compatible with Brexit. They call for an urgent debate in the House of Lords and in the Scottish Parliament. After years of intense lobbying by large corporations, as well as their patent lawyers, progress was made towards a Unitary Patent Court (UPC) that would not only facilitate expansion of patent scope to software but also usher in so-called 'patent trolls'. The Unitary Patent Court will have pan-european authority to impose injunctions, royalties for supposed damages from British companies. This represents an existential threat to many British companies, which foreign companies are hoping to thwart or cripple using patents. Mark Taylor, CEO of Sirius Ltd, from Bracknell: "The EPO paid a visit yesterday to Mr Jo Johnson to push for a UK ratification before the end of March, and without reopening a debate inside the Parliament. I hereby call for a broad and informed parliamentary debate about the consequences of the UPC on the economy, especially for the software industry, and in the light of Brexit. The UPC is another monster coming from Brussels." Maurice Shakeshaft, CEO of CB Automation Ltd, from Newark: "The Unitary Patent will be the nail in the coffin for the european software industry. This court will be populated by members of the patent industry, which has broadened the scope of patents to software for the last 30 years." Michael Kay, CEO of Saxonica Ltd, from Reading: "Software patents are a major inhibitor to innovation, and a major risk for small innovative sofware companies like ourselves. Small companies can't defend themselves against threats by patent trolls. 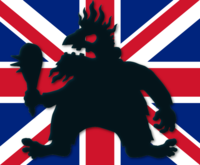 The UK parliament and courts have always resisted software patents, for very good reasons, but the UPC threatens to let them in by the back door." Michael Krech, CEO of Intelligent Firmware Ltd, from Hinckley: "UPC means job losses. Our company does not have the means to fight patent trolls in court. In the US, the only line of defense for small companies is the Alice decision. But with UPC, the fox will be in charge of the hen house." Alex Macfie, of FFII UK, from London: "The UK has still 2 years to ratify, the rush is coming from the patent industry and foreign governments who blackmailed the UK government 'if you don't ratify now, we will rewrite the UPC and go without you'. The rush for Mr Johnson is to ratify without a new debate in Parliament before the end of March, when Brexit is triggered. No impact analysis of UPC has ever been made for the software industry."